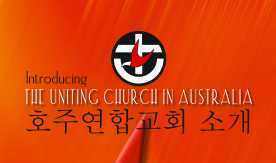 The Korean translation of my “Introducing the Uniting Church in Australia” translated by Rev Myong Duk Yang. It’s no secret that I’m an enthusiast for the Uniting Church’s Basis of Union. But at least one sentence has always worried me: “The Uniting Church declares its desire to enter more deeply into the faith and mission of the Church in Australia, by working together and seeking union with other Churches” (Paragraph 2). Since the 1970s, when the Basis of Union was published (1971) and the Uniting Church in Australia formed (1977), the nature of Christian unity (and disunity) has changed a lot. In particular, the goal of institutional church union has slipped well down the order of priorities – and may have dropped off the list altogether for many. The Uniting Church has partnerships with the Presbyterian Church of Korea (PCK), the Presbyterian Church in the Republic of Korea (PROK) and the Korean Methodist Church. During my visit to Korea in September the Moderator of the PCK spoke to me earnestly about the importance and difficulty of bringing together their divided denominations. He thought this might be one of the ways in which the Uniting Church could help the PCK in the 21st century. Through Rev Park’s eyes I saw for the first time the ecumenical significance of the inauguration of a UCA Korean Presbytery. In December 2011 the 23 Korean congregations in the NSW Synod were brought within the oversight of the new Presbytery. It was the latest development in a long process of enabling Korean speaking congregations and ministers to participate more fully in the Uniting Church. And I’m told that they are genuinely enthusiastic about the Uniting Church and especially its Basis of Union. In fact, a portion of each Presbytery meeting is devoted to studying the Basis of Union, one paragraph at a time. I had generally viewed this process as a practical example of the church’s commitment to being authentically multicultural. And that’s certainly the way it was reported. But seen through the eyes of the PCK Moderator, it was primarily an example of the Uniting Church’s ecumenical commitment and achievement. The Uniting Church wasn’t uniting with the PCK, the PROK and/or the Korean Methodist Church. But ministers and members of those three denominations (and some others as well) were finding that the Uniting Church and its Basis of Union could facilitate their union in Australia – even while it was still too difficult in Korea. A form of Korean church union in Australia: it’s probably not what paragraph 2 expected, but it’s certainly in the spirit of that visionary document. Previous Who’s the head of the church?